Gain insight on the future of C4ISR in the region to learn how technology can help you overcome challenges. 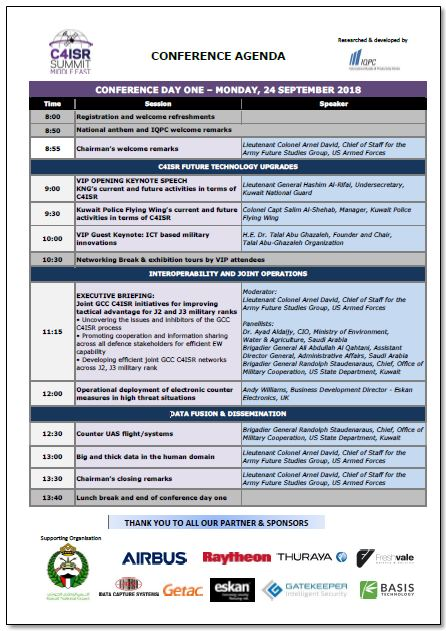 Hear from top defense officials from US State Department, Kuwait; Saudi Arabia General Directorate for Prisons; German Armed Forces and more. Download the agenda now.